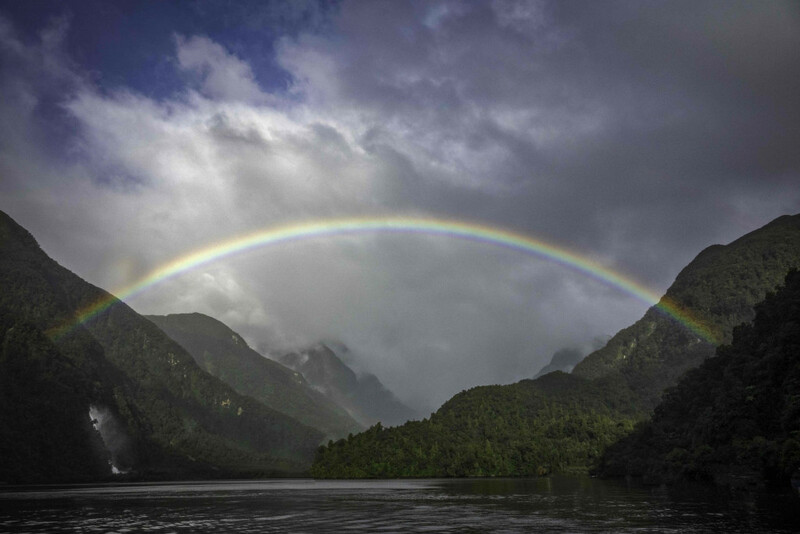 While not as famous as Milford, Doubtful Sound is just as spectacular – but in a very different way. Often called the ‘Sound of Silence’, there is a unique serenity within this 40km fiord that contrasts dramatically with Milford Sound. Our Doubtful Sound two-night package is a great way to book your accommodation and Doubtful Sound experience with one easy reservation. After a luxurious night’s rest, begin your Doubtful Sound experience by being picked up from your accommodation then boarding a boat to cross Manapouri, one of New Zealand’s most beautiful lakes. Following this, board a coach to cross the Wilmot Pass – views galore! – and then another cruise throughout Doubtful Sound itself. Ensure you have your camera or phone charged. This is a day of scenery and landscapes you won’t want to forget in a hurry! Enjoy a bottle of wine on arrival. Extra nights can be booked at a special rate.